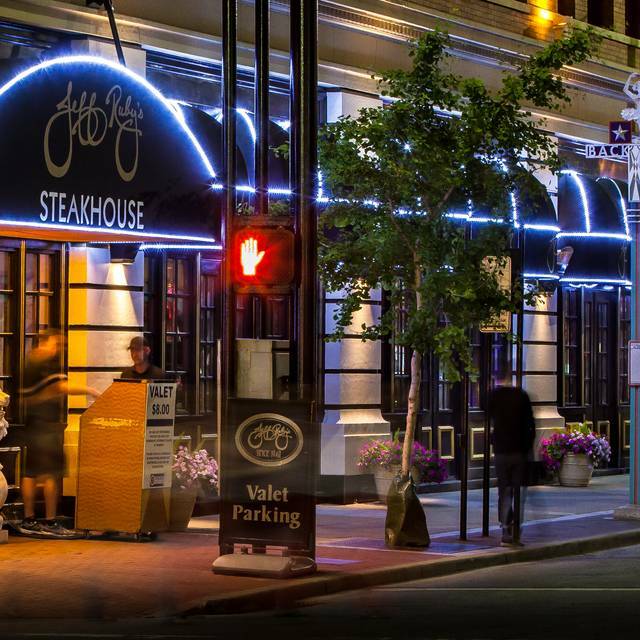 You must make reservations at least 5 minutes in advance of the time at Jeff Ruby's Steakhouse. Valet parking is available Monday - Friday beginning at 6:00pm and Saturdays at 5:00pm; cost is $9.00 per car. 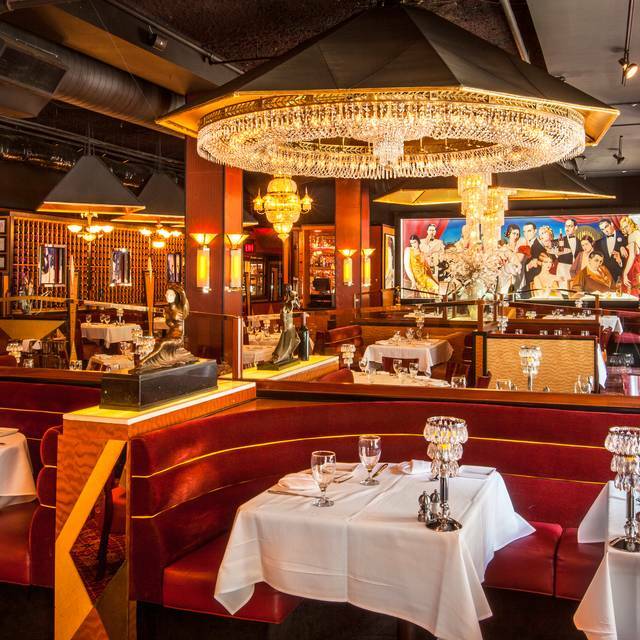 Jeff Ruby's offers Live Entertainment Tuesday - Saturday. Jazz, Rhythm & Blues and contemporary favorites are performed by Cincinnati's finest musicians. Perfect after an evening at the Aronoff Center; let the others fight the traffic rush home! At Jeff Ruby's, there is Never a Cover! 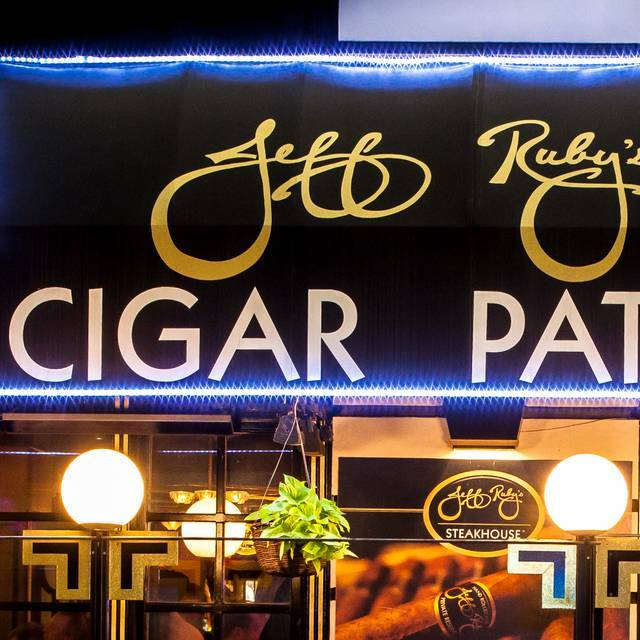 Let Jeff Ruby's cater your next event! For more information, contact Sales Manager, Kathy Davis at 513-723-4454 ext. 108 or kathy.davis@jeffruby.com. 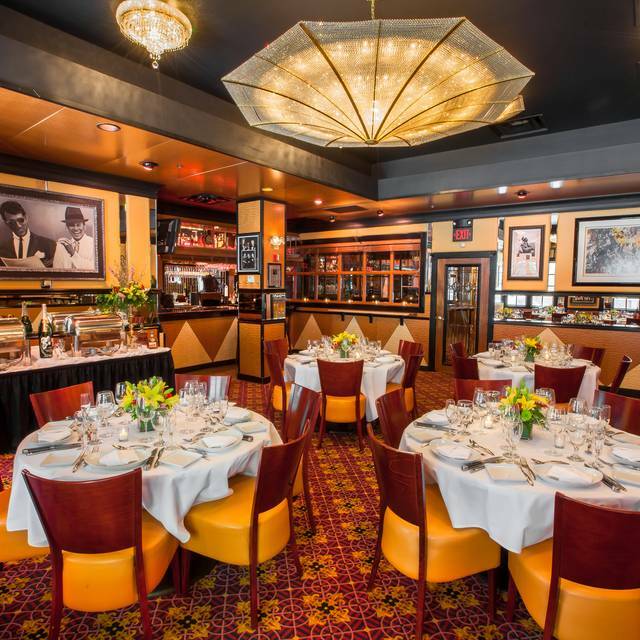 Jeff Ruby's is a 1940's art deco style steakhouse featuring dry aged on premise steaks and Fresh Seafood...not to mention our extensive selection of signature salads, Steakhouse potatoes, vegetables and desserts. Those who prefer an early dinner may make reservations for as early as 5:00pm Monday through Saturday. 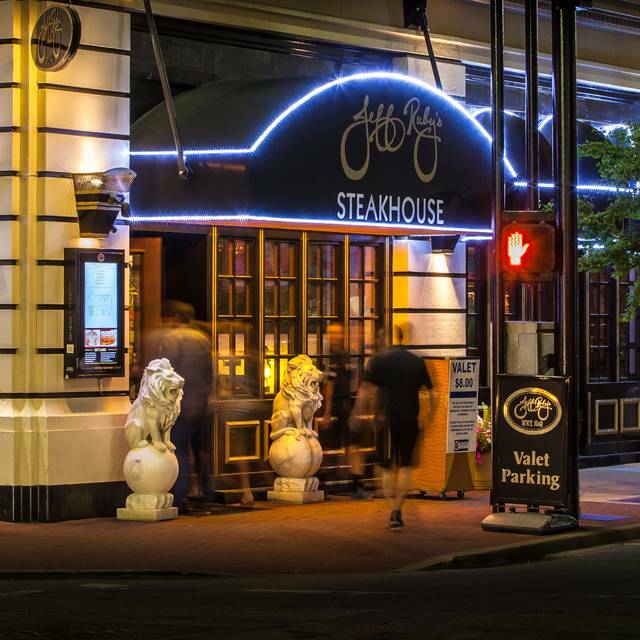 Jeff Ruby's is conveniently located in the heart of downtown Cincinnati's entertainment district and is within walking distance of downtown hotels and the convention center. 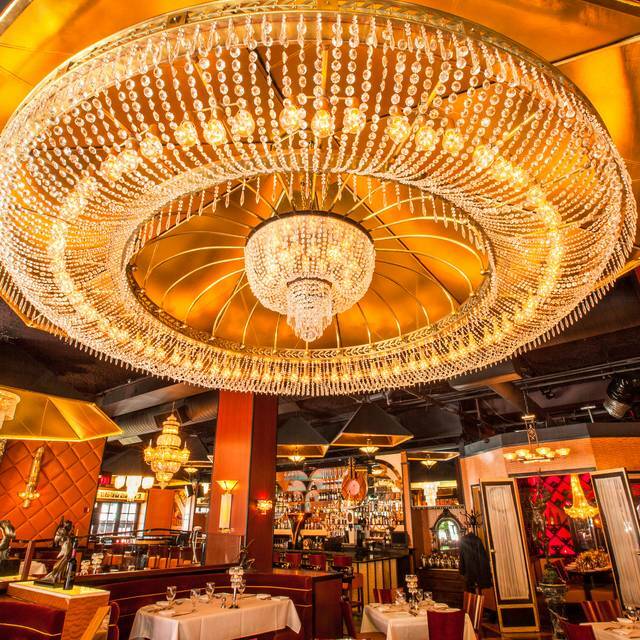 When you demand the very best in dining experiences, choose Jeff Ruby's. Discover the distinction for yourself! Food is outstanding. Service is excellent. Wine list is very pricy. We celebrated our 30th wedding anniversary. Travis and the team treated us very well. Thanks to all the folks there as they all did a great job. Very friendly. Amazing experience as always! Wonderful dinner and wonderful staff. Everything from start to finish was FANTABULOUS!!!! The food is always superb, the ambiance as well and service impeccable! This is our "go to spot" for special occasions and it truly was!!! This marked a day of no more chemo and it was a great celebration - thank you for accommodating us! =) See you soon!!! And the staff are great, the manners are at the top of the fine dining venues. While they are now wearing white tux jackets, don't worry. You can wear almost anything you want at this restaurant, casual to elegant! And if you haven't been there before, it's across the street from the Aronoff with Rubys' valet parking $$ or many public parking garages $. My NY strip steak had to be sent back because is was over cooked a little. They corrected the error quickly and I received apologizes from many. The second steak was the best NY I have had in a while. My wife's scallops were excellent and the crab cake appetizer was wonderful as well. Our server was excellent and made this dinning experience great. Very good food ... waiter was not as attentive as my ice tea was empty for awhile ... paid more attention to a table that I believe was someone of importance in the Cincinnati area . Outstanding as usual! Dustin took great care of us and the food was perfect . Service and food were up to the Jeff Ruby standards. Our waiter was both attentive and provided an excellent wine suggestion for our steaks. 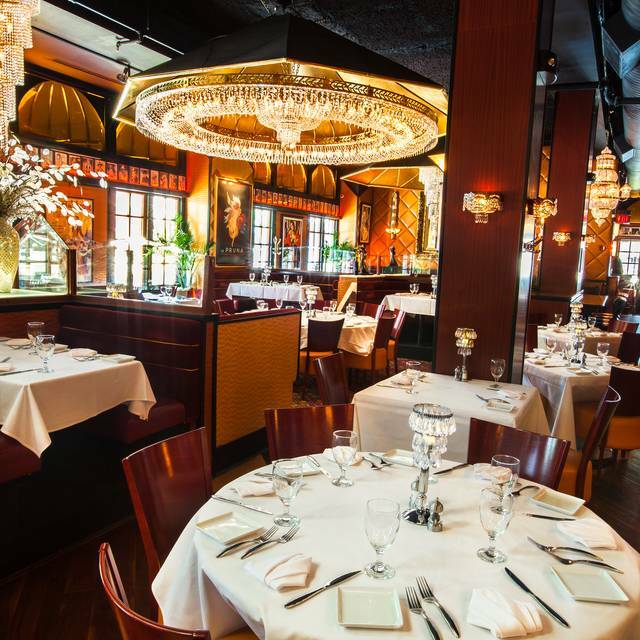 You can’t go wrong for dinner from a Jeff Ruby restaurant! Service was excellent! Dinner was absolutely delicious! Dinner at Jeff Ruby’s Steakhouse, show at The Aronoff, good friends...great night! We often come here before Aronoff shows, so this experience won’t keep me from going back. That being said, my Caesar salad was soggy and the oysters Rockefeller were dry with too much Parmesan. My shrimp cocktail was the highlight as well as the Sancerre. First time at Jeff Ruby's for girlfriend's b-day. Food was great, except for mediocre sushi. Complimentary b-day desserts were very nice. Would definitely come back. Dustin is the best. We have had him as our server several times and he makes the night even better!!!! 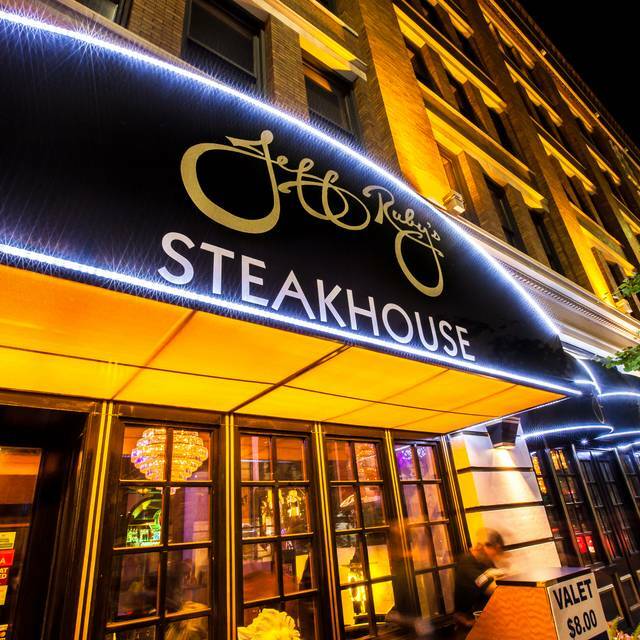 We absolutely love coming to Jeff Ruby's steakhouse! We go every year for my husband's birthday and it's such a treat to splurge and enjoy a nice meal out. The ambience was incredible, the food was delicious and the night was a perfect night out. The ONLY thing I will mention is that it felt like our server got a little busy and we had to wait a bit to have our plates cleared from the table and the food boxed up but it was a Saturday night before a show so we understood. Otherwise, the night was a perfect 10! Hustled back behind the kitchen dining room to a table that constantly got knocked by waitstaff entering and exited the room. Cancelled next Pre dinner meal in June. It was my boyfriends birthday , and they went out of their way to make our first time experience amazing ! An outstanding Steakhouse. Service is impeccable and food truly wonderful. My wife had a Petite Filet and I had the New York Strip. Unfortunately for me, I did not order my steak cooked the way I usually do and it came out a little over cooked, but still okay. We split the Freddy Salad and were glad we split it. It was plenty. Our waiters, Winston and Michael, could not have been more accommodating and efficient. Because we were from out of State, Michael gave us a complimentary dessert. It was wonderful. The General Manager, Jason, stopped by twice to welcome us and show his appreciation for our business. Jeff Ruby’s goes above and beyond. The oysters, pork belly appetizers were excellent. The New York strip Collinsworth was great! The black and blue salad was good but had too much blue cheese dressing. Andrew and Lupe were very attentive and friendly. You can never go wrong at Ruby’s. Celebrated a long overdue date night on a Thursday night. Even with a completely full house, we still felt special as soon as we walked in. The hosts are so welcoming and we headed to the bar before we sat down. Sam is wonderful!!! Made us 2 delicious drinks. Norman was our server and he did a great job telling us about the menu and his personal favorites. The food was amazing!! The Caesar salad and crab cake was large enough for us to split. So good! Our steaks were perfectly cooked. I promised to save room for dessert because the carrot cake is heavenly. I could only eat two bites because I was so full, but it made an exceptional breakfast the next day. Headed back to the bar after dinner to get another drink from Sam. Date night at Ruby's did not disappoint at all! Will be back soon! I ordered a barrel cut filet medium rare. My steak was at least medium. The quality of the cut and the seasoning was great, I just didnt think it was cooked to my expectations. Gary, our server, was very nice and provided excellent service. The food was wonderful. Do not always have to celebrate but a good time with my son. Great meal and our favorite steak dinner! We had a great dining experience. Thank you Pedro for taking care of us and a big thank you to the amazing management team. You guys rock!!! Evening out with friends, food & service were great!!!! Best steak in Cincinnati and one of the best in the US for sure. Great service and an overall great experience. I'm not a big meat eater so I got the salmon... the best I have ever had! The best cowboy Steak I've had. My wife had the petite filet mignon and it was also grilled as ordered. 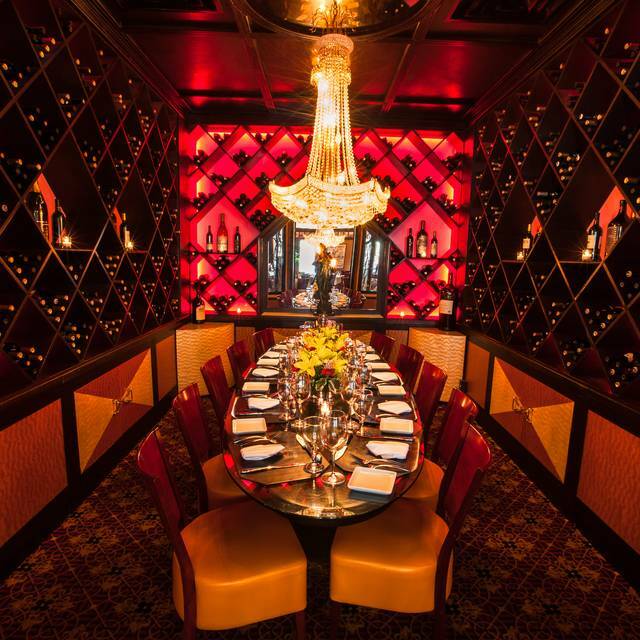 Jeff Ruby's Steakhouse easily caters to any dietary preferences. I ordered my entrees without butter, oils, sauces, dressings, etc. and everything was served beautifully. They even altered a dessert for me. We dined at the Cincinnati location where they did not serve diet Coke (only Pepsi). The bar tender asked an employee to go to a nearby store and purchase a 6-pack of diet Coke for me. How's that for great service?! Reservation was honored without any hesitation. Warm welcome. Table as requested. Michael was our waiter and he was excellent with recommendations and great conversation. Steaks were among the best ever had. Perfectly prepared. Shrimp Cocktail incredible. My husbands Birthday dinner was fantastic! Everything was perfect! The food, the service, the overal vibe from the restaurant was great! They had a band playing while we were there so it was pretty loud but we would definitely go back again! Kelsey our server was friendly, attentive but not overly so and knowledgeable. Service was great, and the food was amazing. Thanks for going the extra mile to make our anniversary one to remember. Always a wonderful experience! My mom had never been to this JR restaurant and she was impressed. The food, atmosphere, and service were amazing (as always)! Thanks for making her first time special! My first time, as it was for my son and his friend and co-worker. The two of them are corporate pilots who fly worldwide. We all agreed that it was great. Thanks for a wonderful birthday dinner experience for my son and the others of us. We wanted to try the restaurant as we have a Jeff Ruby’s opening soon in downtown Lexngton. The restaurant itself is fine, decor is a little dated, but they seated us next to a window which was nice. The service was very good and the servers are very attentive. My husband and I both felt our steaks were a bit over cooked. The meal was definitely above average but not one I consider memorable. We agreed while it was a nice dinner and a unique experience it wasn’t worth the $225 price tag. I was not crazy about The Cowboy rib eye. It had great flavor but it was tough. I didn’t say anything bc I did eat part of it but will not order that again. I’m sticking with the filet.